"Artist, designer and photographer Claire Lloyd enjoyed a phenomenal career in London for many years. Living in a beautiful apartment, with a life filled with excitement and travel, she continued working like a maniac until 2004 when glandular fever stopped her in her tracks. During her long recuperation, she realised her priorities were changing, and her life needed restructuring. A chance conversation with a friend led her to the Greek island of Lesvos, where she finally found what she was looking for - a sense of peace and the return of her creative drive. 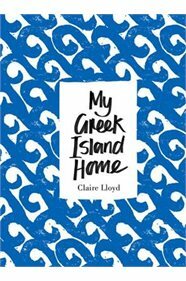 The book describes Claire's days in a small village in Greece, where the seasons govern a way of life that has barely changed over thousands of years. Accompanied by Claire's stunning photographs filled with colour and light, this inspirational story of reconnecting with nature and community, and finding beauty in the smallest details, will make you see the world afresh."